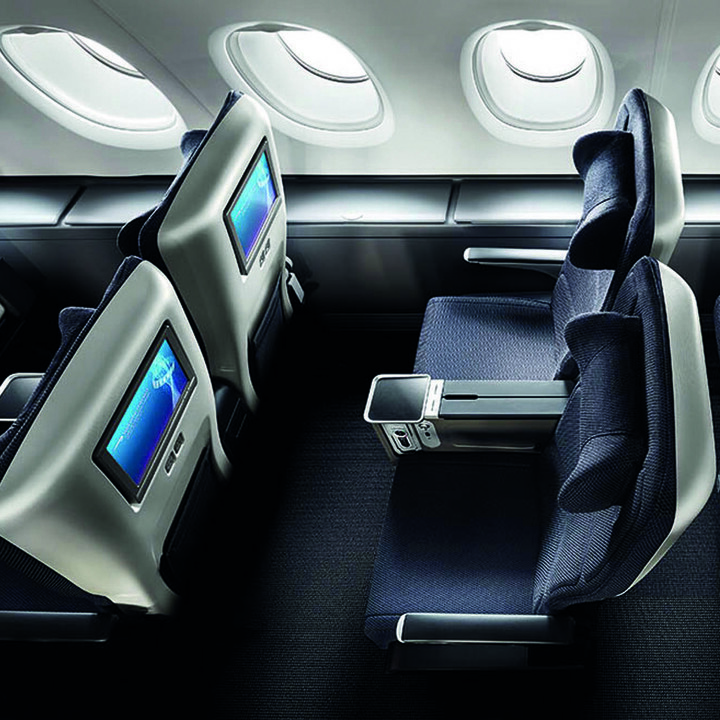 If Club World (BA’s name for business class) is just too expensive for your next long haul flight, and you can’t face the thought of several hours in an economy seat, there is an option. This service is one that other airlines call “Premium economy,” and it offers a number of benefits over BA’s standard economy service. On arrival at the airport, we were a little disappointed that there is no dedicated check in for World traveller plus – you have to join the main queue. But once we were at the gate, we were called to board with the Club World passengers and well ahead of the main crowd. Our aircraft was a Boeing 777, the world traveller plus cabin consisted of 8 rows and we had two dedicated staff, one for each side of the aircraft, plus our own toilet facility. The seat configuration is 2-4-2, we normally book two seats by the window, which is perfect for couples. Once we’d settled, we were brought hot towels and a glass of champagne while the rest of the aircraft boarded. It gave us a moment to investigate our goodie pack, which had been placed on our seats, and consisted of the noise cancelling headphones, ear plugs, slippers, an eye mask, and toothbrush and toothpaste. The seats are very comfortable with an adjustable headrest with “wings¨ to hold your head in place if you choose to sleep. There are also two foot rests, a metal one for sitting up, and one which flips out of the seat when you recline to sleep. The screens are large with high resolution, and BA now offers a fantastic choice of TV, movies and games, as well as a cracking information screen that gives you all the flight data like speed, location, time to destination etc. As soon as the seat belt signs were turned off, the drinks trolley came out, so we could enjoy a pre dinner drink, and we were given a printed menu with the meal choices of the day. We both opted for the beef, and it was extraordinarily good! A perfectly cooked steak, served with a spicy sauce, vegetables and sauté potatoes. There was also a small starter of feta and olives, a very nice chocolate pudding, and some cheese and biscuits. We also had a choice of four wines, and decent coffee to follow. It was all served with proper crockery, metal cutlery and real glasses. Wherever you sit in World Traveller Plus, the service is quick as the cabin is so small. We then settled down for the night, and the wider seats and extra legroom really came into their own as we both slept well, in contrast to a recent economy flight with BA where we struggled. The crew came around several times during the night with orange juice and water for anyone who was awake. The only disappointment was the breakfast, which was served about an hour before landing. It was a basically a very dry croissant with soft cheese filling and a fruit cereal bar, with coffee. It was a bit of a shocker, especially as I remember the days of BA’s legendary bacon rolls! In summary, breakfast aside, the World Traveller Plus service is excellent, and whilst I would always prefer to fly Club World, sadly, I usually can’t afford to. WTP will be my standard choice in future on long haul flights. And it’s also worth mentioning that the tier points and avios, for BA’s executive club members are much more generous than when travelling economy. Is it worth extra? I would say emphatically yes. More reading? Here’s our review of British Airways Club Europe.